Provide comfort for the family of William McKnight with a meaningful gesture of sympathy. Passed away on Friday, April 5th, 2019 at Health Sciences North, Sudbury. Beloved husband of Marian McKnight (nee Hunt). Loving father of David (Shirley) and Allen (Colette). Cherished grandfather of J.J. (Mel), Brett, Jennifer (Jesse Usher), and Lindsay (Cody Beattie). Dear son of Robert and Viola (nee Proctor) McKnight both predeceased. Bill was born in Medicine Hat, Alberta in 1926, moving to Ontario with his parents in 1937 and settling in Sudbury. After graduating from Sudbury Mining and Technical School he started working for the International Nickel Company. At the age of 17, Bill joined the Army and served in the Canadian Infantry Corp. as Corporal from 1944 to 1946, then returned to work with the International Nickel Company. He was married to Marian in 1949 and they had two sons, David and Allen. Bill enjoyed bowling, curling, and their summer home at the lake with time spent fishing and hunting. He became active with the Boy Scouts where he spent several years working with Leaders as the Training Chairman, and for four years as President of the District Council. Retiring in 1984, Bill spent 4 months of every year in St. Petersburg, Florida with “his Lady” and Masonic friends, and meeting friends of the Craft and became very active in Florida in the winter months. Bill held many posts, and received many degrees and honours within the Masonic Lodge and the Sudbury Shrine Club, which include the Cryptic Rite, Preceptory, York Rite College, Knight of York Cross of Honour, Order of Silver Trowel, Order of Purple Cross, Consistory, Mystic Shrine, Hillbilly Degree, Conclave, High Priest Hood. He was a member of the Royal Canadian Legion for over 50 years. Sudbury Lodge # 658 AF & AM at 7p.m. Monday. Cremation with entombment at the Civic Cemetery, Veteran’s Section. Donations to St. Andrew’s United Church or the Sudbury Shriner’s Club Transportation Fund would be appreciated. 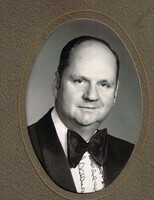 To send flowers in memory of William "Bill" McKnight, please visit our Heartfelt Sympathies Store. Consider providing a gift of comfort for the family of William McKnight by sending flowers. My condolences. In God's love, Amanda Thompson and Family.